Come and try something new, or leap your way back into an old hobby! Whatever the reason- we have a class for YOU! 7.30pm ‘My Time’ Dance hour (60 mins) Cardio warm up with abs and legs, travelling jazz based combinations finishing with a fun and energetic routine. All classes held in Chapel Allerton. Acting ; exploring fundamentals, rehearsal techniques, character creation, performance skills and stage craft in a fun and supportive environment, building confidence and revitalising creativity. Dancing ; improve coordination and learn elements of dance and movement, use of various techniques to create routine work, gain confidence and learn to express through movement. Singing ; Develop your vocal range and learn how to control your voice. Core vocal technique. Exploring a range of music genres and harmony work, achieving quality performance while using your voice in a safe and healthy manner. FEES: classes are charged at £8 per 1hr 30mins. Fees are payable in a 5 week block in advance at £40. We welcome YOU to come along and try a class ! 12-week transformation boot camps for men, women and children of all ages. Block booking and PAYG available, under 16’s are always free. British Military Fitness is an alternative form of group fitness training to gyms. A fun class of Cuban Popular Dances learning body isolation and core strength, and combining fun dance techniques with FITNESS. 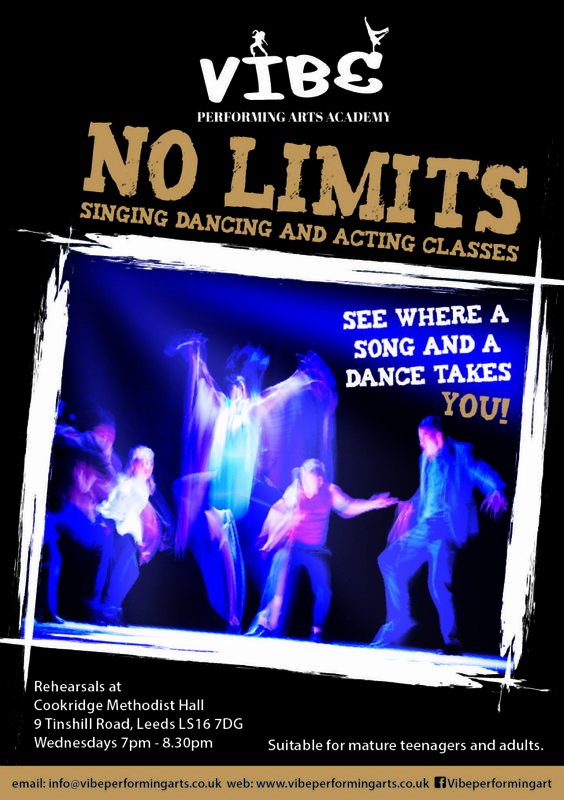 A great vibrant dance class for all levels, learning Latin steps and routines without partners! Dance your way FIT! Offering adult Ballet and Contemporary Dance classes for all levels. Beginner Ballroom and Latin classes! Fridays: 10.00am, YOGA & PILATES (Wetherby Town Hall). Here at The Dance Studio Leeds we have a huge range of classes and courses for adults, from Monday-Friday, mornings and evenings, with classes suitable for complete beginners and advanced dancers, including Ballet, Tap, Jazz, Street Dance, Contemporary, Salsa, Swing Dance and many more!